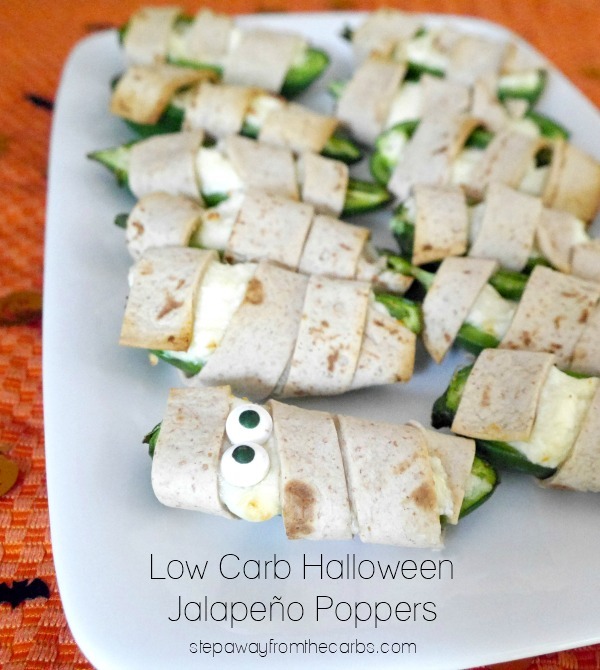 These low carb Halloween jalapeño poppers look just like mummies – and are the perfect spooky dish for a Halloween party! 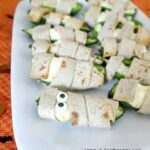 If you’ve enjoyed my low carb Halloween Chips and Halloween Quesadilla – you’ll love these poppers! The inspiration started with my crazy “Mammoth Jalapeño” plant. 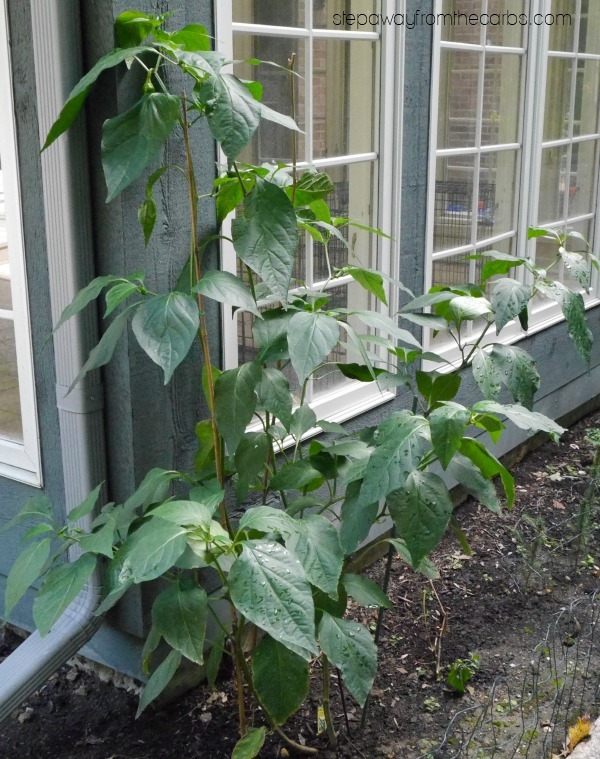 It was less than a foot tall when I planted it in late July, and just when everything else is dying back and preparing for winter, my jalapeño plant keeps growing and growing. And producing peppers, too! 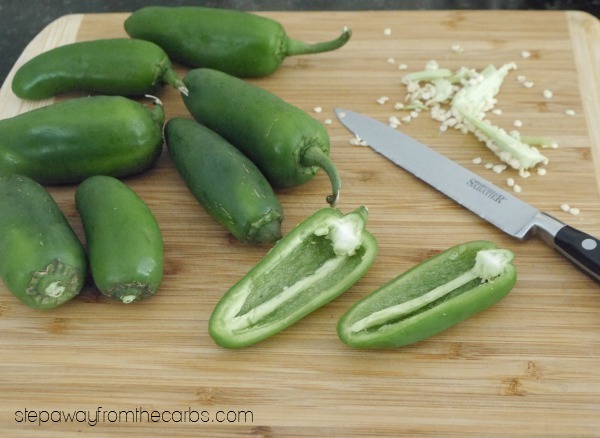 Cut each jalapeño in half lengthwise and scoop out the seeds and pith. Take whatever cautions you think necessary to protect yourself from potential burns! 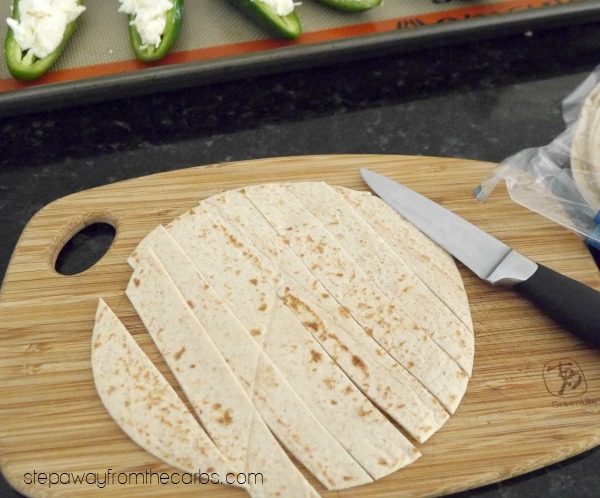 Place the cut jalapeños on a baking tray lined with a silicone mat. Mix together cream cheese and shredded cheese in a bowl. I used an Italian blend of cheese but pretty much anything works in this recipe. Scoop a spoonful of the mixture into the cavity of each jalapeño half. 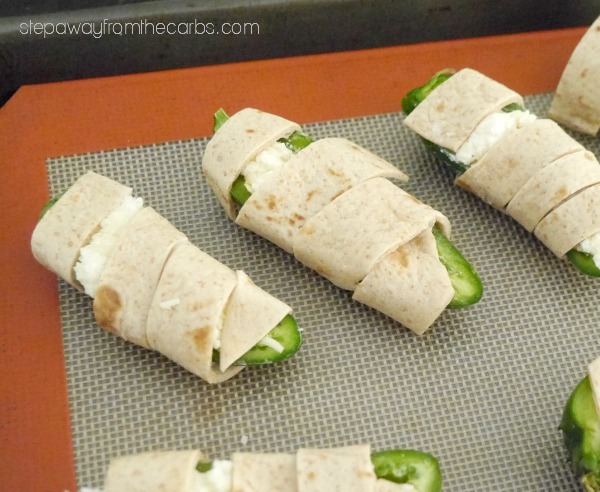 Cut low carb wraps (I used Mission Carb Balance Whole Wheat Fajita – 3g net carb each) into 8-10 strips. Thinner is better for wrapping! 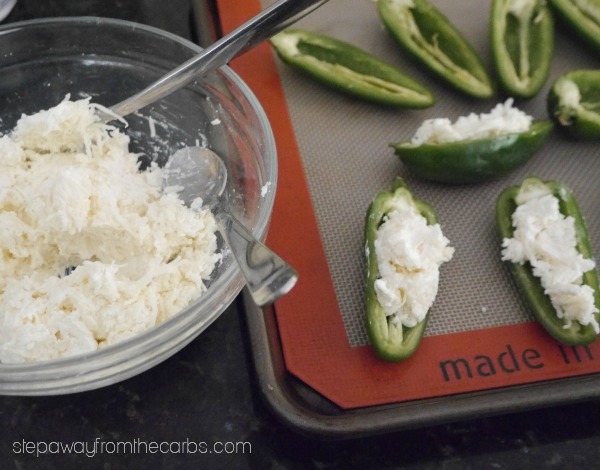 Wind two strips around each jalapeño, tucking ends underneath or into the cheese mixture to secure them. I definitely got better at this, and went back to re-do the early ones! Bake in a preheated oven for around 8 minutes – or until the cheese starts to brown. If you want, press edible googly eyes into any gaps that you’ve left between the tortilla strips while the cheese is still warm. 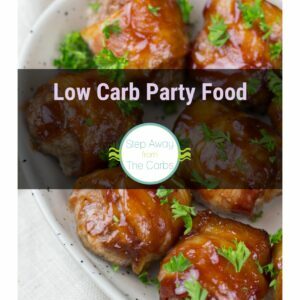 This part is completely optional – the eyes aren’t exactly low carb and definitely not sugar free. As far as I can work out, there are 4g net carbs in one teaspoon of the candy eyes. That’s maybe four eyes? Very hard to say, so your guess is as good as mine. 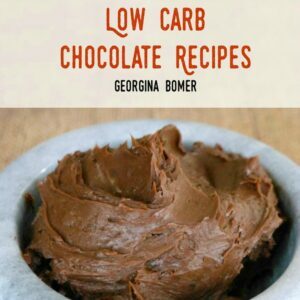 7g net carbs per serving (based on low carb tortillas with 3g net carb each). Data does not include edible googly eyes! These are so adorable! The kids would like making these too. This is a cute idea. Your plant IS getting big, lol. I remember one year when I was a girl and my parents jalepeno peppers and heirloom Italian peppers crossed. The sweet peppers were hotter than the spicy ones! 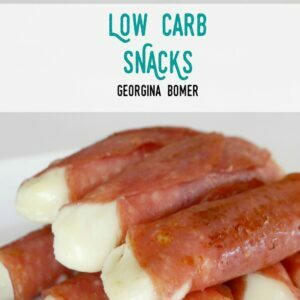 I’m a fan of poppers, so this recipe sounds great to me. To keep these savory I made them with eyes made from slices of small pimento stuffed olives…makes eyes of fire, so still Halloween themed.